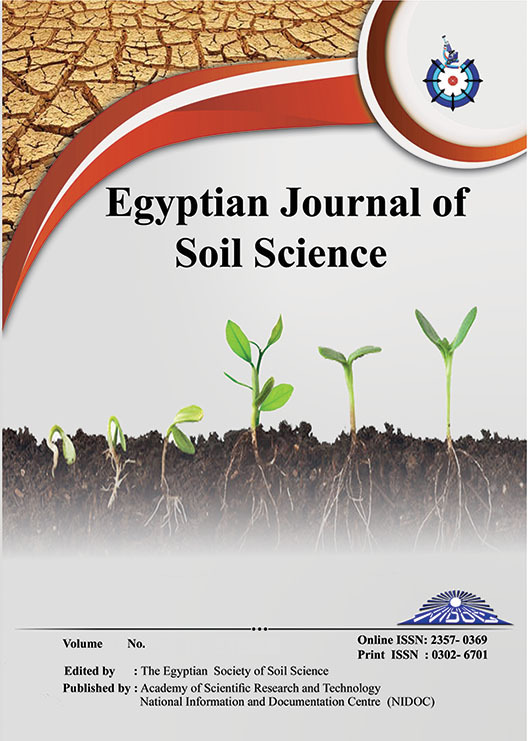 Field experiments were performed during the summer seasons of 2014 and 2015 at El-Baramon Experimental Farm, Dakahlia Governorate, Egypt to study the effect of irrigation levels and some foliar applications of antitranspirants on the growth, yield, water use efficiency and NPK content of cabbage grown in clayey-textured soil. Results indicated that frequent irrigation with 100% replenishment of evaporation losses resulted in the highest fresh and head weight, stem diameter, yield and NPK content. On other hand, the flowering and dry matter percentage recorded a negative liner. Water use efficiency recorded high value with either100% or 80 % replenishment of evaporation losses. Also, the antitranspirants foliar application increased significantly all characters under study. Whereas, the beneficial effect of antitranspirants foliar application can be arranged as follows: CaCO3> kaolin> K2SO4> plastic film> mineral oil as compared with the untreated plants. Apparently, plant growth, yield and NPK content increased with evaporation replenishment at 80% level and with the application of antitranspirants and decreased with increasing water stress (60%). Generally, it could be concluded that the treatment of 80% replenishment of evaporation within 3% CaCO3was the best combination and it could be recommended for cabbage (c.v. Balady) grown under similar field conditions in order to get optimum yield and to save irrigation water. Generally, it could be concluded that the treatment of 80% replenishment of evaporation within 3% CaCO3 was the best combination and it could be recommended for cabbage c.v. Balady grown under similar field conditions in order to get optimum yield and to save irrigation water.